Spouses Lt. Col. William Cook, and Col. Penelope Cook, right, and Spc. 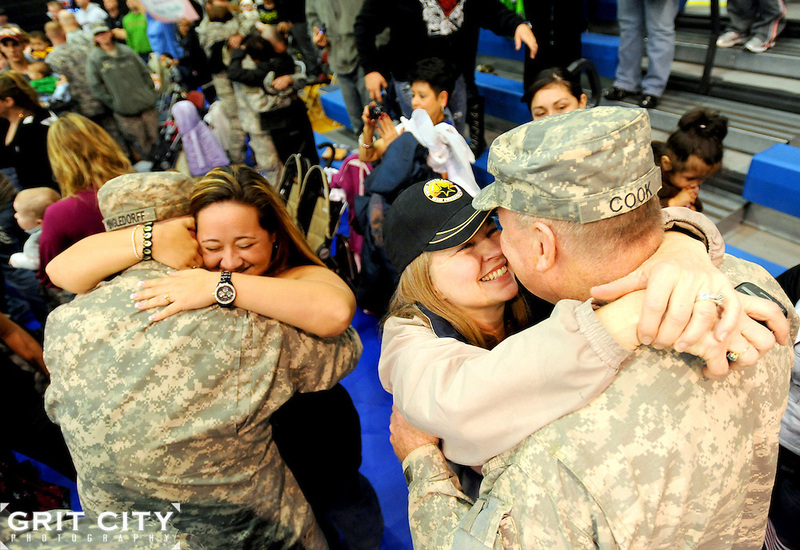 Gregory Mingledorff and Lauren Mingledorff embrace at a Joint.Base Lewis-McChord homecoming ceremony at Wilson Gym March 3, 2010. The soldiers, with I Corps, completed a 12-month deployment to Iraq, where they served as the headquarters element for Multi-National.Corps Iraq, supporting U.S. and multi-national units deployed in support of Operation Iraqi Freedom..